Nigerian producers had no issues embracing EDM enthusiastically—and successfully—during the genre’s heydays atop Billboard charts. While the genre itself is slowly getting reshuffled back into the fringes of niche sonic appetites, Masterkraft’s latest single, “Charged Up” fuses Afro-house drum riffs to the glucose-coated synthesizer lines he produces. “Charged Up” features a hyped up DJ Cuppy who contributes vocals to really set the party tone the beat already inspires. It’s easy for her energetic performance and the cuts of vocal DJ samples to seem a bit overboard, but it feels right in the moment as the let the beat do most of the work. Audiences at festivals would be grateful that their need for a steady paced beat isn’t sacrificed for any sort of theme. 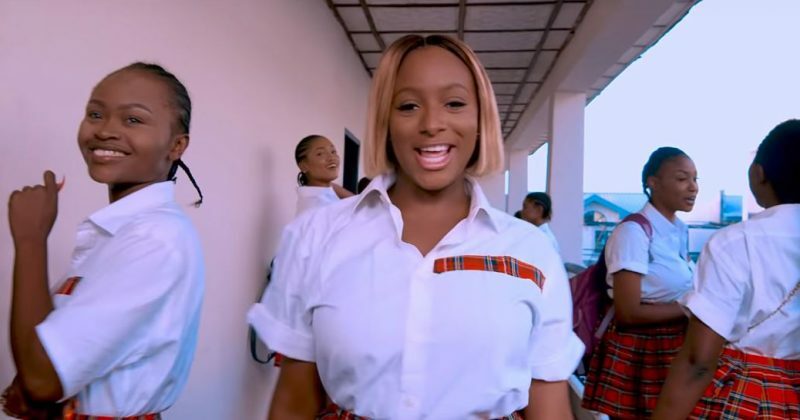 Avalon Okpe direct the music video with a school setting that asides hinting at the song’s target audience, allows Cuppy play dress up as a cheerful school girl. You can watch the video for “Charged Up” below.